Absorbent cellulose/polyester wiper for sterile environments. 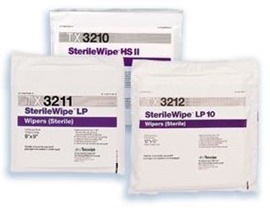 SterileWipe™ wipers were developed to clean aseptic cleanrooms. Absorbent, non-woven cellulose/polyester blend wiper.